Its been a decade and a half but I still love them a lot. With their come-back, I get excited all over again. I have even subscibed their news letter and also sign up for Google Alert..hahaha..how crazy I still am. "The Garden was more than ready for Wahlberg's love-in. 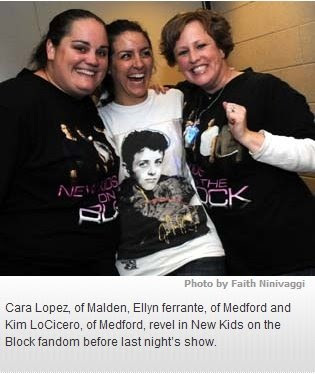 Many of the fans, who were mostly women between the ages of 28 and 40, came to the show in 20-year-old T-shirts and buttons, and held signs that said things like "Before there was Justin there was Jordan," and "Donnie and Jordan in '08." And, would you believe I still have their big posters safely packed at home. wow, this sure brings back some good memories! I bet they still look as yummy as ever. I used to drool over Jordan. BTW, does this mean we're getting OLD? hahahahaha...a no khi i hmu tai a mi? ni deuh tho mai....mahse a aia tai zawk pawh khi hmuh hmaih chi miah loh....ti tak tak..
Keichu ti lul lo se hi ka ti sin hethil hi chu, awm in a awm tawh lo, pa senior an ni ve tawh a, enge mawni an hriat ni, a zahthlak letling..